Today it is hard to believe that the 19th-century radical Romantics once denigrated Mozart as the “Raphael of the music world”. The suggestion obviously was pejorative, and implied that both geniuses used cliché, albeit with impeccable brilliance, and both imitated other masters – Pietro Perugino and Giovanni Santi in Raphael’s case, and Bach and Haydn in Mozart’s. And it is a sad fact of musical history that although his music, including his symphonies, continued to be performed for the better part of the 19th century, Mozart remained out of favour with the bulk of concertgoers. Yet, ultimately, the great genius wasn’t just rehabilitated, but was fully restored to his rightful place alongside Bach and Beethoven. 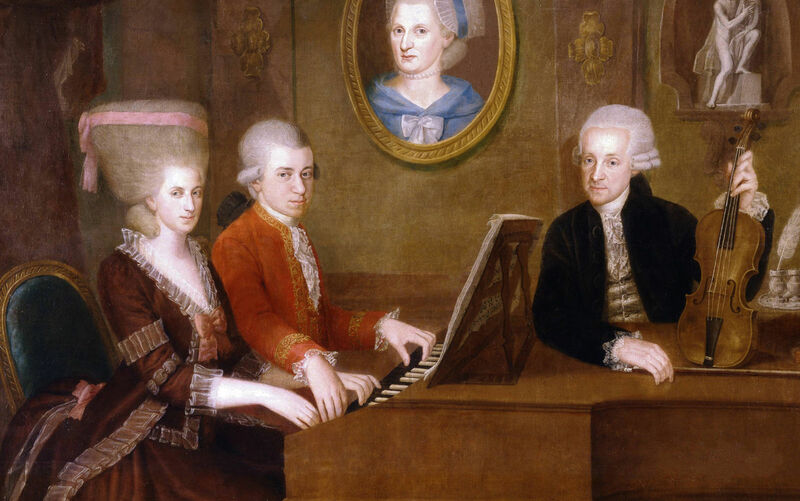 Both critics and music professionals finally realised that the seemingly rococo prettiness of Mozart’s music only reflected its surface, and below it laid a music of great power, profundity, subtlety and beauty. Notwithstanding Shaw’s magisterial verdict, Mozart still had to take a backseat to Bach and Beethoven in both popularity and critical acclaim for the better part of the 20th century. But a single event of popular culture that took place in 1983 would lead to a near-total reversal of this situation – the inauguration of Miloš Forman’s Hollywood blockbuster film Amadeus. Here briefly is how the explosion of Mozartmania followed in the wake of this highly fictionalised eight-Oscar-winning Mozart biopic. While Mozart’s music had always been appreciated by sophisticates, Amadeus, in tandem with the TV blitz, did for Mozart what no entertainment media before or since has ever done for any other classical composer: they took his music to the bedrooms of millions of people across the world. The result was that those who had never or only vaguely heard of Mozart, became aware of the composer and his iconic music for the first time. And many people who may have only heard of Mozart but wouldn’t know a classical tune if it bit them on the leg, could now recognise his ‘Eine kleine Nachtmusik’ (Serenade for Strings in G) and the overture to his opera The Marriage of Figaro. The movie’s soundtrack album was No. 1 on Billboard magazine’s classical albums list; it also made it to the pop charts. One of the holy gods of art music was thus reduced – or elevated, depending on which side of the musical divide you stand – to the level of Michael Jackson or Mick Jagger. And this Mozartmania unleashed by Amadeus led the great classical composer being first harnessed by science, ostensibly for research, and then being hijacked by commerce for profit. While one may or may not have heard of ‘Eine kleine Nachtmusik’ (‘A Little Night Music’), Mozart’s ubiquitously popular tune, it is highly likely for one to have heard of the ‘Mozart Effect’. This is because the buzzword has been so widely – and wildly – bandied about in mainstream media. The term ‘Mozart Effect’ was first coined by the French physician-researcher Alfred A. Tomatis in 1991. In an attempt to find cures for all sorts of childhood disorders as well as adult ailments, including depression, Tomatis used Mozart’s music as a listening stimulus. A set of his research results indicated to him that listening to Mozart’s music may induce a short-term improvement in the performance of certain kinds of mental tasks known as “spatial-temporal reasoning”. But the concept really caught on in a big way in 1993 at the University of California, Irvine, with physicist Gordon Shaw, and Frances Rauscher, a specialist in cognitive development and a concert cellist to boot. In an article published in Nature that year, the two researchers claimed that they found a temporary enhancement of spatial-temporal reasoning in a group of college students who listened to the first movement of Mozart’s Sonata in D major for two pianos for ten minutes. Don Campbell, a US musician and non-scientist, sensing huge business potential in the ‘Mozart Effect’, lost no time in trademarking the term. He then came out with his two bestselling books and more than a dozen CDs on the popularised version of the ‘Mozart Effect’ in which he claimed some incredible, but later seriously disputed, benefits of Mozart’s music. These benefits ranged from how Mozart’s music “can instantly uplift your soul, awaken within you the spirit of prayer, compassion and love, clear your mind and (this became the central slogan around which his marketing strategy was built) make you smarter”. The ‘Mozart Effect’ may not have found any significant application in the fields of health and education, but it had at least one interesting spin-off in the field of social policy: the governors of Georgia and Tennessee in the US started programmes in their states that gave a Mozart CD to every newborn. However, it was the intrepid businessmen ably aided and abetted by Madison Avenue and its counterparts on the other side of the Atlantic (including two non-profit state agencies in Austria, its tourism board and the mayor of Salzburg), who were quick to cash in on the claimed benefits of the ‘Mozart Effect’ myth. Soon you had a bewildering array of Mozart-inspired products in the marketplace, ranging from the Walt Disney Company’s Baby Einstein line of products to, believe it or not, even Mozart bras that played ‘Eine kleine Nachtmusik’ when unfastened. This piece was originally published by the National Centre for the Performing Arts, Mumbai, in the May 2018 issue of ON Stage – their monthly arts magazine.